I've heard some people describe Istanbul as a city marked by perpetual transition. Literally divided by the Bosphorus into two continents, it can't help but be. An incredible cultural fusion of both east and west, it's a city like no other. It should come as no surprise then that I ventured off to Istanbul, and other parts of Turkey, while I was undergoing one of the greatest transitions of my life. A little over a year ago, I was about to take a big leap of faith. I was leaving my job, my family, my life, and moving to New York to pursue my dream of becoming a fashion illustrator. I was so utterly drawn to the otherworldliness of Turkey. It seemed so majestic, so intangible, so far away. Escaping to another world to collect my thoughts, myself, felt exactly like what the doctor ordered. After making my connection in London, I really had no idea what to expect when landing at my destination. I was supposed to be meeting my tour group of 18-35 year old faceless, nameless companions in the lobby of my hotel in the Sultanahmet district. I couldn't even picture what the city would look like and then suddenly I was there. I'm afraid my writing might fail me when it comes to describing those minutes of landing on the runway. To my left all I could see was a glistening sun, steam rising from the water, decorated with the most wonderfully ornate boats. So exquisitely beautiful, I felt like I was dreaming. I was relieved to make it to my hotel alive after the treacherous cab ride into the city; even more so after meeting my roommate Sanaa who confirmed that in fact I was here and not dreaming at all. Our tour only spent a few days in Istanbul while traveling through Turkey. In that time I managed Topkapi Palace, Underground Cistern, Beyoglu nightlife, Spice Market, Blue Mosque, Hagia Sophia, Bosphorus Cruise, Grand Bazarr, Belly Dancing, and a Turkish Bath treatment (although it felt more like torture lol). But I have to say that the greatest things I took away from this trip are the friendships I developed there and still maintain today. I also must share that if ever you're looking for a place to stay in Istanbul, search no further than the Kybele hotel. I was befriended by the owner 'Mike' after purchasing a ring from his store. He prepared me dinner, allowed me to go through his entire collection of Afghani caftans and turkish rugs, while telling me the most incredible stories of his life. I didn't get what I expected out of Istanbul. I got so much more. No other place in the world holds as much sentimental value to me now. 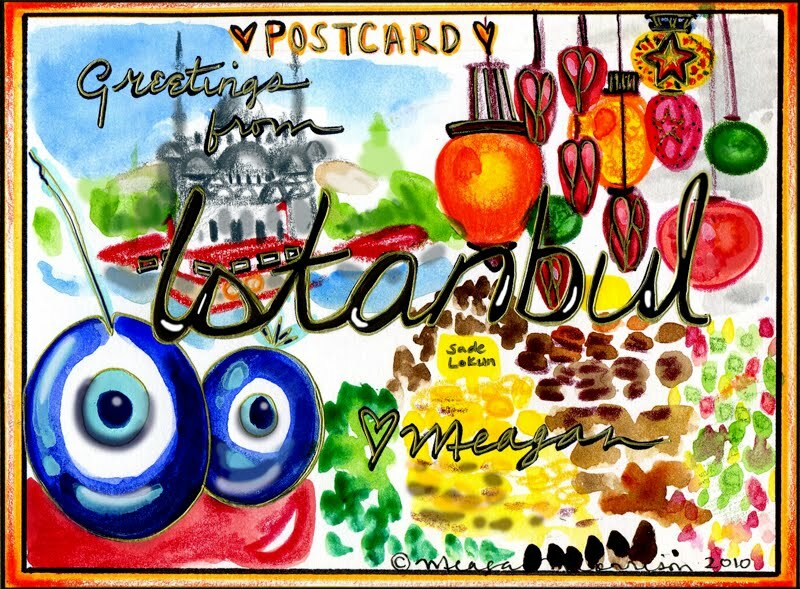 If you've ever been to Istanbul, live there, or would like to go, I would love to hear your thoughts on this entry. I know I only scratched the surface here, so please forgive me if I haven't done Istanbul enough justice. Enjoy!! As I was reading your post, I remembered how this trip to Istanbul came about. It was entirely unplanned, as my initial plan was a tour to Spain/Morocco. That Contiki trip was full when I looked to book and there were only a few spots left for the trip we went on. I contemplated it for a few days, and without thinking, I picked up the phone and booked the trip (knowing as soon as I would and after all the expenses spent there, I'd be entirely broke) I, however, realized that this chance will never come a long, at least not in the near future. Turkey was the last trip I made while I was in Europe, having gone to a few places and travelling inside England for a few months, I was exhausted by the time I packed my bags. Truth is, I wanted to cancel this trip, because I had no more energy left in me. I was told I'd only receive half the money back, and I was willing to accept. That's how much I wanted to stay in London (before leaving for good) I'm obviously glad I didn't. Turkey (specifically) Istanbul was a beautiful place. I remember the taxi ride to the hotel, and how excited I was as soon as we got into the city and drive by the blue mosque and the Aya Sofia. I then remember coming back into the hotel room, and seeing (how many luggages did you have Meagan) hahahahaha I can't stop laughing. I gotta admit though, what came to my mind was, "Thank Goodness I have a roommate 'like this' Makes me feel a whole lot better when I won't be the only one on the trip spending hours deciding what to wear and fixing my hair. HAHAHA. Oh, I haven't laughed like this in a while. Beautiful memories, memories of a lifetime. From meeting you in the hotel room, to the first night having shisha with the group, to praying in front of you, to the night us two girls spent with the boys in Istanbul, to those laughs I won't forget, to the boat ride on the Bosphorous, to the laughs about our guide (LOL), to talks about Islam, to the sleeping in and getting pretty instead of breakfast and to the endless talks about life, love and everything else in between.......I can't be thankful enough that you turned out to be my roommate and friend. lots of love, meg. Let's plan a trip one day! I'm really dying to go to Istanbul! Your pictures and drawings are beautiful! Such a nice job you've done here on your blog! So happy you're into it! SO MUCH FUN!! Keep it up girl! Meagan, from what I have read so far your life is one wonderful story. You should turn these blog posts into a book someday! I'm serious. So much of what you go through, how you feel, is relatable, and seeing how you turn your feelings towards actions and go for your dreams is beyond inspiring...I may have told you so already.